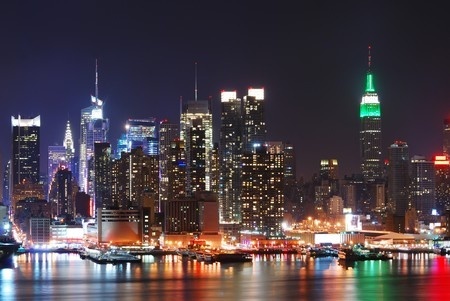 Jungle Red Writers: Do You Heart New York? If It’s Not Manhattan, What Makes It New York? HANK PHILLIPPI RYAN: If you missed Bouchercon--or attended and are now missing it--Jungle Reds has the solution! Here's a crime panel of our very own--moderated by the fab Elizabeth Zelvin. Liz is the editor of Where Crime Never Sleeps: Murder New York Style 4 (Level Best) (yay, Level Best! ), a new anthology of crime and mystery short stories by members of the New York/ Tri-State Chapter of Sisters in Crime. Grab some coffee, pull up a chair, and listen in to these terrific authors. And hey, you don't even need to wear your name badge. Liz: First, I’d like to say that I chose these particular authors from the anthology to represent the broadest possible perspective. Triss and Stephanie set their stories in two very different parts of Brooklyn. Anita’s story, told through the eyes of a child, takes place at the beach at the edge of Queens. Lindsay’s story is set in the heart of midtown Manhattan, but her characters have Brooklyn roots. Rona’s roam the streets like predators on the hunt and are not attached to any one place. So let’s hear what they have to say about how they chose to interpret the concept of “writing about New York.” First, tell us briefly about the settings of your stories. Triss Stein: “Legends of Brooklyn” is set in Brooklyn Heights, with the Brooklyn Bridge an important part of the story. Stephanie : My setting is Coney Island, Brooklyn, a place that has long been famous for wooden roller coasters, Ferris wheels, Nathan’s hot dogs, the Boardwalk, and the beach. A place where families went to escape the summer heat before air conditioning became pervasive. But it is also a place that fell on hard times subsequently, with high crime and gangs and drugs, and is only fairly recently having a terrific revival. Anita Page: “The Cousins” is set in Rockaway Beach, Queens, in the mid-1940s, a neighborhood of small bungalows on long streets that run down to the boardwalk and the beach. Rona Bell: “Prey of New York” is set largely in Manhattan, seen through the eyes of more than one generation. The story takes place not only in the places we all know—the bridges, Fort Washington, the Metropolitan Museum—but in the travel between all these places, which is, I think, what tourist and resident alike relate to and remember. Liz: Lindsay, you threw enough Manhattan icons into “I Gotta Be Me” to balance a heavy dose of Brooklyn. Tell us about that. Lindsay Curcio: I chose some of my favorite parts of Manhattan and Brooklyn. Radio talk show host Johnny Monroe broadcasts from a studio at the Hotel Pennsylvania and goes to sporting events at Madison Square Garden. Johnny and Stein meet at Rudy’s bar on Ninth Avenue in the 40s. Liz: In fashionable Hell’s Kitchen! Lindsay Curcio: Rudy’s markets itself as a dive bar, and it does not disappoint. Everyone goes there! Johnny lives in Tribeca. Bay Ridge, Brooklyn also figures into the story, and it has always been a neighborhood with a lot of diversity and immigrant history. Liz: Do you have a personal connection to this setting? Lindsay: These parts of the city are areas in where I spend most of my time living and working and places I make sure to show all visitors to New York. Liz: How about you, Rona? Rona: I remember that in my first job in lower Manhattan, the tourists would lean down from the buses and take pictures of people like me. We were the attraction, objects to be pointed at. That dichotomy between what is real and what is remembered, what is owned and what is coveted, is an endless setting for crime fiction, I believe. Liz: And you, Stephanie? Were you “writing what you know”? Stephanie : Definitely. My family was one of the families that went to Coney Island to beat the heat, enjoy the rides, and make sand castles on the beach. And I had a childhood friend who lived there, which is part of the theme of my story. Anita: My extended family, like so many others in those years before air conditioning, rented bungalows in Rockaway to escape the heat. For kids it was heaven, with the freedom to run outside and play that we didn’t have in Brooklyn. Rona: One of my first memories was the long car ride from Western New York. My brother and I would sleep for hours in the back seat and wake up on the FDR, setting eyes on the clipper ship in the South Street Seaport. It is a memory we share, as though the visits to grandparents were also a trip back in time. I hoped to weave that sense of memory and time into this story. Liz: Triss, what made you choose Brooklyn Heights? Triss: My work-in-progress is set in Brooklyn Heights, and—as always—I found more fascinating stories than I could include in that plot. I do live in Brooklyn, and all my books take place in various Brooklyn neighborhoods. Liz: What’s your definition of “New York” as a geographical location? When is a place “in New York” or a person “from New York”? Anita: My definition of New York is the five boroughs. I was born in Brooklyn and lived in various parts of Queens until I was a young adult, but it’s been so long since I lived in the city that I now say I’m from the Mid-Hudson Valley. Triss: I agree. The five boroughs are New York. You can’t say “I am a New Yorker” if you have lived in New Jersey for thirty years. Yes, I met someone who said exactly that! You also can’t say you are a native New Yorker if you didn’t grow up here. I didn’t. My kids did. It is different. But you can become a New Yorker, and the city is full of people who found their true home here. Maybe you’re a New Yorker when you have mastered the subway system. Lindsay: I’m from Chicago and moved to New York more than twenty years ago. I don’t think a person has to be originally from New York to be a New Yorker. New Yorkers are kind, friendly, hard-working, loyal, and open to new experiences. Most importantly, they have a sense of humor. I know that may not be what those from outside of New York think, but that has been my experience. Stephanie : I believe that anyone who grew up in any of the boroughs is a native New Yorker. But I also have a more specific definition regarding what I call the B boroughs. That would be Brooklyn and the Bronx. They, along with Manhattan, feel more authentic to me. That is partly because Staten Island was physically connected only to New Jersey until 1964 when the Verrazano Bridge was built. They even voted in a referendum to leave the city within my lifetime. And then there is Queens. I always thought that the natives there wished they actually lived on Long Island. Liz: Oh, those are fighting words! I grew up in Queens, but I was born in Lenox Hill Hospital in Manhattan, I went to dancing lessons in Manhattan as soon as I was old enough to put a subway token in the slot and cello lessons after that, and in high school, I spent my Saturdays at the Museum of Modern Art and my Sundays hanging out in Washington Square listening to folk music. Pre-Dylan, pre-drugs. Pre-exorbitant fee to get into MoMA. It was all free. You bet I’m a native New Yorker! Stephanie : Also, a real New Yorker will root for either the Mets or the Yankees. Liz: Yankees all the way. The Mets didn’t exist when I was a kid. Rona, how about you? Rona: While New York is one of the world’s great cities, it is also, I believe, a mental and emotional space owned by all. It is a place that pulls people to it, generation after generation, to pursue a better life. The layers of achievement and disaster intermingle everywhere—to me that is the essence of New York and its everlasting meaning. I once helped organize a New York art show in a bank branch. The artists were “outsider” artists—artists from institutions, living in New York and all self-taught. They were all given one subject, the Statue of Liberty. I often call those images to mind when writing: the Statue of Liberty as a witch, as a frightened woman, as a giant. These artists are all New Yorkers, taking in the city and making it their own. Somewhere unsaid, this exhibit was an engine for this story. Liz: In choosing the location for your story, how much attention did you pay to the requirement that it be a New York story? Were you comfortable with the parameters? Did you feel challenged by them in any way? Rona: The requirement that the story be a New York story was both a comfort and a challenge. It was a lens in which to shift through and assess the endless locales and hopefully to lift the setting above the stereotypical. It is was a challenge to be sure that the setting did not fall into the dream of New York and not contain aspects of the real New York. That was one of the reasons I chose the image of the hawk. New York is a major birding area, and the fact that you can go up the Empire State Building and watch flocks of migrating birds is stunning to me. Like many other New Yorkers, I have not done it, but I know it is there. And the life forms swirling around us provided some energy for this story. Anita Page: I did pay attention to the requirement that the story be set in New York City and involve a landmark. I interpreted that to mean a legally designated landmark rather than a tourist attraction. I’d been thinking for a while about setting a story in Rockaway, and I hoped the area qualified as a historic landmark. As it turned out, three streets, Beach 24th, 25th, and 26th, had been listed on the National Register of Historic Places in 2013. Triss: I paid every attention to the requirement. That’s what started me thinking about the story. I felt comfortable with the parameters. I like writing stories to a theme. Lindsay: I think “I Gotta Be Me” is a New York story not only in terms of location but for the general theme. It’s a fact that people come to New York to reinvent themselves. Stephanie: The New York requirement was no problem to me. There used to a TV show about New York, The Naked City, and the narrator started each episode with the concept that there are eight million stories in the naked city. Eight million stories should be enough for anyone. Liz Curcio: So what about Manhattan vs Brooklyn? Is there genuine rivalry there? Stephanie Wilson-Flaherty: Of course there is tension. Manhattan has the authentic postal code, New York. It is the original. So good they named it twice, as the famous song goes. When people from Brooklyn go to work or shop in Manhattan, they say they are heading for “the city.” Brooklyn was its own city and didn’t join in with the others until 1898. It has its own identity. Its own library system. We even had our own baseball team, once upon a time. At the end of the day, I would suspect that Manhattanites don’t think about Brooklynites much at all. And I suspect that Brooklynites get a lot of “Brooklyn” attitude from the immigrants, lots of whom originally came over the Brooklyn Bridge from the Lower East Side. So they kind of think the other guys are sort of rich social snobs. Rona: In my family, this is a topic of constant discussion. To think that a previous generation landed in Brooklyn, and prosperity meant getting out—now that has reversed. Brooklyn is a destination, a new cauldron of creative endeavors. We are seeing a reversal that will be followed by a new reversal, which is part of the magic of New York. Lindsay: When I moved to New York in 1994, I lived in south Brooklyn. It was affordable and the only place I could find a safe, clean apartment within the time frame I needed. Of course, my thought was: I’ll move to Manhattan next year. I loved Brooklyn so much I never left! It took a long time, but Brooklyn is a destination in itself, and now when I travel and say I’m from Brooklyn, everyone wants to know more about the borough. Triss: I think it’s more legendary than true at this point. This has changed a lot in the time—several decades—I have been a Brooklynite by choice. Then, many people asked us, “Why Brooklyn?? ?” with “of all places” implied. And I know several who did move here but felt it was proof of failure. Now they’re happy they made that move. Liz: So Brooklyn doesn’t consider itself the underdog? Liz: Does Manhattan consider Brooklyn the underdog? Triss Stein: I am tempted to say—with learned Brooklyn attitude—“Who cares?” I am joking, of course. Sort of. Anita: As a native New Yorker, I propose that the only significant interborough rivalry died when the traitor Walter O’Malley took the Dodgers out of Brooklyn. Liz: Anita said earlier that she assumed our original call for submissions based on landmarks referred to officially designated historic landmarks. I have to admit that what I had in mind was actually attractions: monuments like the Brooklyn Bridge and events like the Marathon that draw thousands, millions of visitors to our city. Lindsay: Oh boy, well, I thought that Rudy’s was a tourist attraction in addition to being a neighborhood bar! Liz: I thought that the storytellers might murder some of those visitors, and that visitors might commit and solve the crimes. I found it fascinating and very cool that instead, our contributors chose to write about not visitors but New Yorkers. To us, the iconic places of New York, like Central Park and Carnegie Hall and the Bronx Zoo, are not attractions but where we go about our lives. So the theme of Where Crime Never Sleeps became the infinite variety of New Yorkers and the uniqueness of New Yorkishness. Our storytellers inspired it, so let’s ask them: In a nutshell, what makes a New Yorker a New Yorker? Anita Page: I believe that a true New Yorker is someone who tolerates inconvenience, isn’t easily fooled, and appreciates diversity. Triss Stein: One of the things I observed when I worked in many diverse Brooklyn neighborhoods: lots of people don’t describe themselves as New Yorkers or even as Brooklynites but as being from a neighborhood or even sub-neighborhood or project. “I’m from Brighton Beach. Sea Gate. Dycker Heights. Bensonhurst. Red Hook. Lewis Pink Houses. Walt Whitman Houses. Starrett City. Mill Basin.” Small towns in the midst of the big city. Liz: I would hate to start the war again, especially if it’s been over since the Dodgers left Brooklyn, but that doesn’t happen in Manhattan. I can’t imagine telling a stranger on a train traveling from Amsterdam to Copenhagen, “I’m from the Upper West Side.” I’m a New Yorker! Stephanie Curcio: There’s a famous cartoon cover of the world from The New Yorker magazine. Most of the drawing’s real estate shows Manhattan, then jumps west to mention the Hudson River and “Jersey” and then gives a few inches for the rest of the US before giving an inch or so for the Pacific Ocean, China, Japan, and Russia. I know a lot about this New Yorker-centric view of the world because I have a copy of the cartoon on my living room wall. If you live in New York and that is your view of the world, even if you live in Staten Island or Queens, then you are a New Yorker. Rona: I recall a very specific moment when I believe I spotted a real New Yorker. A black van pulled up to a Lexington Avenue subway stop. Twenty men clothed in black got out, with Homeland Security stamped on their backs and weapons in each arm. They circled up at the entrance to the subway, listening to their commanding officer. A New Yorker with a suitcase came up to one of the Homeland Security officers and tapped him on the back. “Excuse me, is the Number 6 running on time?” This is the exuberance and confidence of a New Yorker. HANK: So Reds, what do you think makes a New Yorker? Do you heart New York? Lindsay A. Curcio, author of “I Gotta Be Me” in Where Crime Never Sleeps, is a writer and an immigration lawyer living in Brooklyn and Niagara Falls, New York (where she can see Canada from her window). She loves the intersection of immigration law and pop culture. Her short story, “We All Have Baggage,” was included in the previous Murder New York Style anthology, Family Matters. Triss Stein, author of “Legends of Brooklyn” in Where Crime Never Sleeps, is the author of the new mystery Brooklyn Wars, described in Publishers Weekly as “a colorful tale of love, loss, greed and murder” and three other mysteries in the Erica Donato series about Brooklyn neighborhoods, in which the historian heroine investigates both old and modern secrets. Triss had stories in all three previous Murder New York Style anthologies. 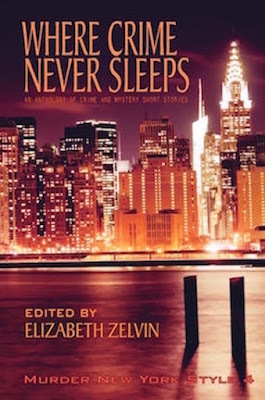 Elizabeth Zelvin, editor of Where Crime Never Sleeps and author of “Death Will Finish Your Marathon” in the anthology, is the author of the Bruce Kohler Mysteries and the Mendoza Family Saga. Her short stories have appeared in Ellery Queen’s Mystery Magazine and Alfred Hitchcock’s Mystery Magazine and been nominated three times for the Agatha and twice for the Derringer Award. Visit her at www.elizabethzelvin.com and on Facebook. Anita Page is the author of “The Cousins” in Where Crime Never Sleeps. Her short stories have appeared in webzines and anthologies including the MWA anthology The Prosecution Rests and Level Best’s Windward. She is a Derringer Award recipient, authored the novel Damned If You Don’t, and edited the anthology Family Matters. She reviews classic crime films for Mysterical-E and blogs at anitapagewriter.blogspot.com. Stephanie Wilson-Flaherty is the author of “Murder in Coney Island” in Where Crime Never Sleeps. Her short stories have made the finals in RWA’s Golden Heart contest; earned a four-star review from RT Book Review; been published in three of the Murder New York Style anthologies; and been listed among the “Other Distinguished Mystery Stories” in Best American Mystery Stories 2015, edited by James Patterson and Otto Penzler. Rona Bell, author of “Prey of New York” in Where Crime Never Sleeps, is the pen name of a New York business executive who has published (under other pen names) in the North American Review, the Akashic Books Mondays are Murder series, as well as such publications as The New York Times and Washington Post. An essay on wartime and crime fiction appears in the current issue of Mystery Readers International. What interesting stories; this sounds like a wonderful book. I’m looking forward to reading it. I’m not certain I know what makes a “true” New Yorker, but I’m tempted to say that if you identify yourself as a New Yorker, then that is what you are. I “heart” something about New York that no one mentioned: the theater. When I was in college, I used to ride the Long Island Railroad into Manhattan just to go to the theater. For me, the theater in an intrinsic part of New York . . . .
What a great collection of stories, both the fictional ones and the real ones! I don't know the city well, but always feel a bit of a country mouse when I go, wandering around gazing up at all buildings. I'm with you, Edith, definitely a country mouse. I can make my way all over Paris, speaking little French and understanding less, but I am bamboozled in New York. I have a good friend who live on LI and was born in Brooklyn. She is prouder of this than a dozen Texas-born natives are of the Lone Star State, and you know how THEY are. I don't even like to fly out of JFK, preferring Philadelphia instead. Sorry Reds. Is this a deal breaker? Eight million different ways, apparently! A friend who grew up (gay) in Oklahoma moved first to San Francisco, where he lived for many years. Finally, he realized his soul was in the Big Apple, and twenty years ago he drove across country to fulfill his true destiny of becoming a New Yorker. He so fully embraces this city that his Instagram account is filled with luscious photos of amazing architectural details and the incredible public art in the subway system. (Every station has a different theme, it's remarkable.) He lives in Union Square, and married an uptown guy, someone transplanted from Dayton, Ohio forty years ago. New York really is a state of mind, isn't it? The city just throbs, night and day, and it will be my great pleasure to read all your stories about it. I love NY! I spent my freshman year of college at NYU and have fond memories of fire alarms in the middle of the night when the bomb squad would show up with their sniffer dogs, and Batman would run down 5th Ave. NYC is a place where truth really is stranger than fiction! Congrats on the anthology! I DO heart NY! 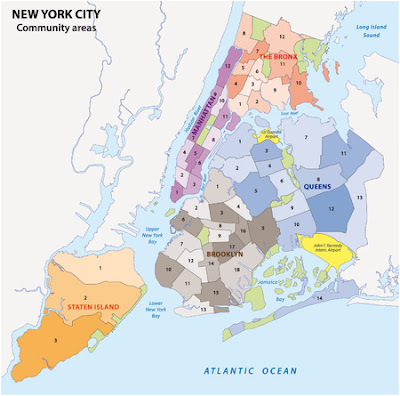 My parents grew up in the Bronx, I went to college in Manhattan and after that, lived on the Upper West Side and taught at PS 189 in Inwood, my kids live in Brooklyn's Sunset Park, and my sister lives in Manhattan. Visiting always feels like going home. I like the quiet neighborhoods, only go to the Times Square area if I have to. But I feel like a New Yorker even though I've lived mostly elsewhere. Congratulations on the anthology! I'll definitely be reading it. I do heart New York, too! And one of the things New Yorkers don’t have, actually, is the experience of coming from out of town! And how absolutely overpowering it is. I can’t help but look up, and then I get embarrassed for being such a gawker. We do have to talk about baseball, right? Unlike my dear New Yorker husband, I cannot root for the Yankees. My dad's father was born in New York, in Hells Kitchen! The family moved to Stamford Connecticut when he was a few years old. I've always felt like I'm a New Yorker by heritage. I don't get there as often as I would like to, but I always enjoy being there. When I was growing up my dad always told us "if you're not a Yankees fan then you're a dirty Commie!" The obituaries for half of his relatives included the statement that "he/she was a diehard Yankees fan!" A couple of my relatives strayed, and became Mets fans, including one of my own sisters. I can forgive that because at least they're fans of a New York team! Although I was never a Brooklyn Dodgers fan, I guess I still think of them as the "Brooklyn"Dodgers and I still think it's sad that they left New York. Traitors! Over 20 years ago I had a part-time night job working for a polling Institute. We frequently called residents of the various New York City boroughs. I loved talking to them because they were excited to have somebody ask their opinions, and were are always very eager to answer the questions. I hated calling Connecticut. Connecticut residents could be extremely rude to us. It's not like we were trying to sell them anything, and the entire survey was totally anonymous! We had no idea who we were calling, and we didn't want to know. Another one who hearts NY. I have spent a lot of time there as I write a series set there and always feel energied and at home. It has such a great vibe. But I'm amused by which areas have now become upscale and fashionable. Hell's Kitechen! In my time period you wouldn't go there! The Bowery's another one. I worked in New York's famous skid row running a program for homeless alcoholics not so long ago, and now it's gentrified to the point where it's unrecognizable. Come to think of it, Rhys, didn't your Molly come through Ellis Island as an immigrant? So did both my parents, in 1905 and 1906 respectively. That's been restored as a national historic monument. When my parents visited, they both remembered the high arched windows of the main building, though they had last seen them as very young children. Thanks so much for having ups on the blog, Hank, and thanks to all of you for jumping into the discussion. It's true that something's always going on here. I take pictures of my everyday life to keep my Facebook friends jonesing for New York. Yesterday I crossed Central Park to the Neue Galerie to see Klimt's The Woman in Gold side by side with his very different portrait of Adele done ten years later--it's going back to the private collector who owns it after Monday. Today I walked the same stretch (again, with my walking poles--I'm getting to be a New York Character) through a Happening celebrating 50 years of public art in the New York City parks: workshops, live music, and a sculpture gardens, some of the sculptures living. I'll post those pictures lately. No murders today, just gorgeous weather and the endlessly diverse cast of New York characters who live here. Ups? No edit feature on comments, huh? That's what you get when you cross "us" and "oops!" I lived in the New York suburbs for years, but never managed to spend enough time in the city to get to know it and feel comfortable there. I enjoy reading about it though. What a great conversation! It brought back lots of memories of growing up in New York (Flushing, Queens). We too, called Manhattan "the city" and I couldn't wait to be old enough to ride the subway there alone. And after 26 years in Seattle I'm still a Mets fan! Real Flushing, Rosemarie? Our postal zone was Flushing, but we really lived in Kew Gardens Hills, halfway between Flushing and Jamaica, right off Main Street. Flushing Meadow Park was "down by the lake," and they hadn't yet built the Van Wyck Expressway. My first trips to the library were made with my dad on the bus to Flushing. What if? What if I hadn't met my husband the last semester of college and married him the next fall? What if I had followed a dream and gone to NYC and found my way into a publishing firm? I might very well be in "a New York state of mind" and eating at "our Italian restaurant." Of course, I don't regret not taking that path, but I think lots of us wonder about the path we did not take. As a fan of Triss' Brooklyn series, I look forward to reading this anthology. So great to celebrate NYC and all it includes! Thank you, Jungle Red Writers, for hosting us and thank you, Liz Zelvin, for all your hard work on the SinC NYC project!